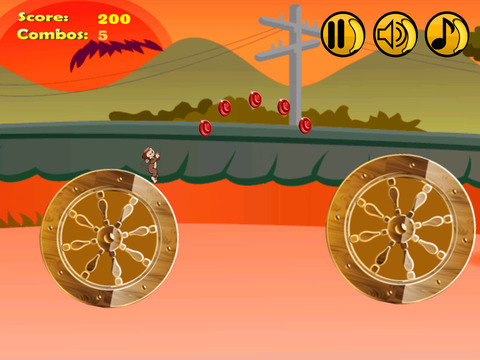 Very additive and cool monkey running and jumping adventure game. Very simple but extremely addictive game for iPhone and iPad. There are moving wheels, you have to jump from one wheel to another. Collect bananas to fly for a while. Collect coins and fruits as much possible to increase score. 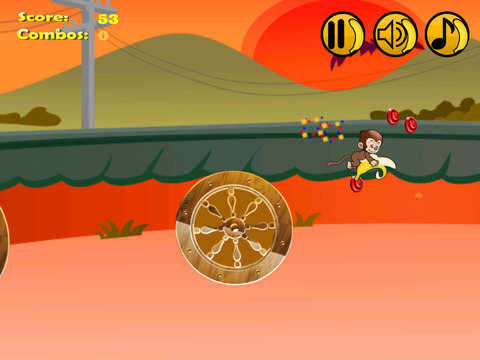 Manage perfect timing of jump so that you can reach next wheel, otherwise you will fall down to end the game.